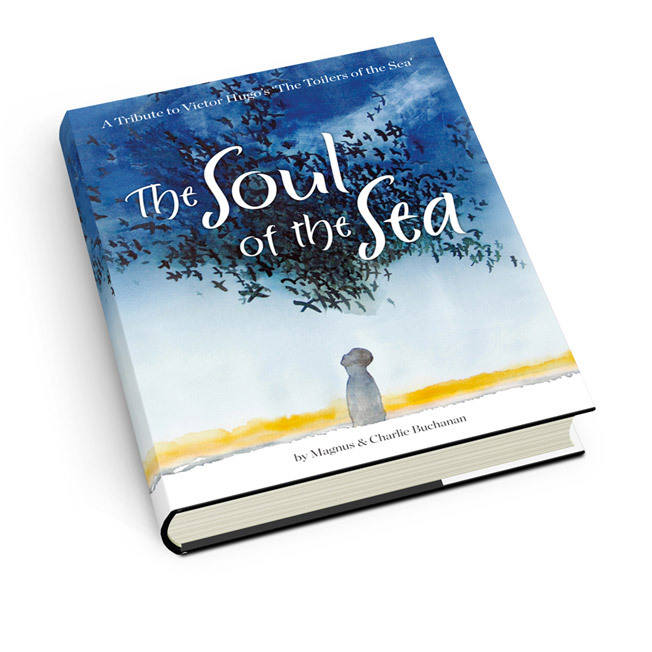 Another fantastic enterprise by Charlie and Magnus Buchanan is their book “The Soul of the Sea”, a poetic adaptation of Victor Hugo’s “Travailleur de la Mer”. I was asked to design their book and create posters to promote the publishing launch date. Tackling a literary beast like Victor Hugo is no mean feat but the result is a feast for the eyes, with Charlie’s vivid illustrations combined with Magnus’ poetic wizardry. Find out more about Charlie and Magnus’ books here.